Who wouldn't dream of this Colorful Pack ?! The Scheepjes Catona color pack is definitely a "must have" for all Catona fans. Well filled with the 109 colors of the Catona 'Cutie Pie' 10 grams, this package is ideal for choosing the colors of your next project and is ideal for small multicolored projects such as mandalas, but also small figurines such as amigurumi. 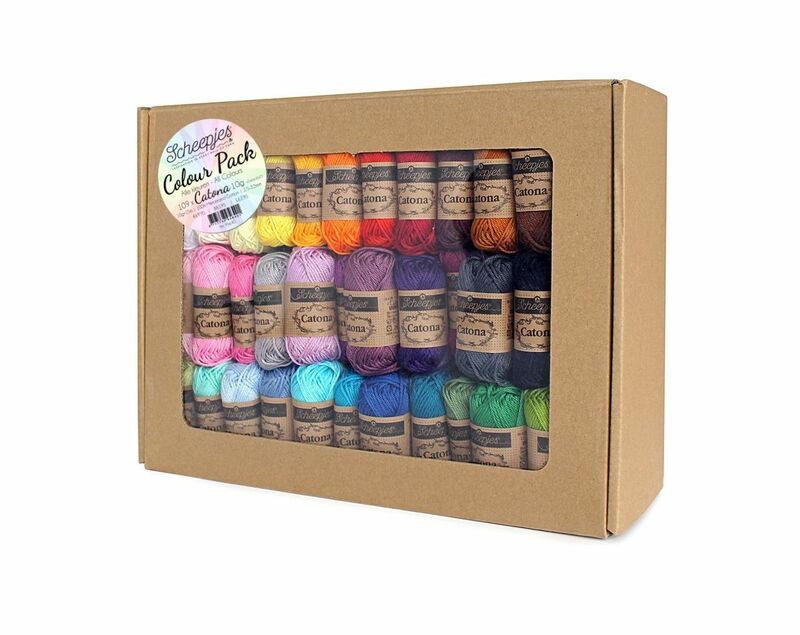 Prepare your assortment of cotton with this beautiful pack of Catona balls!